Marketing is definitely one of the crucial elements of any business in any industry. You can have the best product and the best audience but if they don’t know a thing about each other’s existence you simply can’t succeed. Website serves your business as a communication tool online, its essential function is to present the product or service and allow conversion. Simply put, it turns a visitor into a lead, lead into a customer that makes a transaction. However, this path takes time and your job is to ensure that you’re showing the things your target audience wants to see and create a desire to take an action. These tools will allow you to do a better competition research, analyse your website strengths and weaknesses and suggest smart improvement suggestions for you to achieve better results. SEObook is an extremely handy tool for spying on your competition and doing thorough keyword research. Search engine optimisation (SEO) is still one of the best ways to get quality traffic for free. All it takes is to know some basics of optimising your website internally and externally and playing around with keywords and positioning. Check out Designing an SEO Friendly Website to learn more about internal optimisation. SEObook: SEObook offers a variety of free and premium tools including Firefox extensions and web-based tools. Tools include keyword suggestion, keyword list generator, robots.txt tools, page comparison tool and many more. Moz: Moz is one of the most respected SEO resources in the market that has many tools for improving your marketing game online. Moz tools empower you to identify content and link building opportunities. Research and compare competitor backlinks, identify top pages, analyse local listings and even get daily SEO report. Mailchimp is one of the leading email marketing software companies that is very easy to setup and has a powerful free plan. Email marketing is still ruling the online marketing world. Email subscriber is worth around 15 times more than the social media follower or fan for simple reason, you own it. A person subscribing to your email list gave you permission to email him or her at anytime and is more likely to see and engage with your message where your message on social media networks might get lost in the feed of other people trying to get your target person’s attention. Below are some cool tools that allow you to easily create segmented lists, create autoresponders and integrate with other platforms you already use for your marketing. Mailchimp: Mailchimp is a powerful online email marketing solution allowing you to capture emails, manage subscribers, segment audiences, create autoresponders and more. Mailchimp has a free plan for up to 2,000 subscribers and 12,000 emails per month. 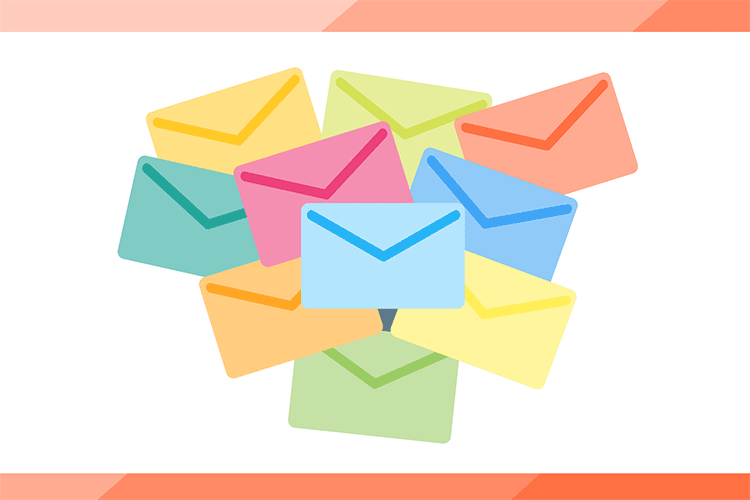 Mailerlite: Mailerlite is an email marketing software with innovative and easy to use drag & drop editor that lets you create newsletters in no time. I’ve recently switched to MailerLite from Mailchimp mainly for pricing reasons. AWeber: AWeber is an email marketing and autoresponder software that has been in the industry for many years and proved its reliability and ease of use. It offers free expert support services online or by phone. Campaign Monitor: This online tool helps you create and customise your email templates, send campaigns, conduct A/B testing, integrate with your blog and generally make you achieve more with email marketing. ConvertKit: ConvertKit is an online software tailor-made for professional bloggers like you to help you gather more email leads and gradually convert them into customers. Jetpack is very useful and powerful plugin for WordPress that has many handy features like analytics, security and auto sharing. Social media is definitely one of the biggest traffic sources for many blogs and websites out there. Since I’ve started blogging back in 2008 I’ve always utilised social media to promote my content. I’ve tried all types of social media networks and found out that Facebook and Twitter work the best for me, in fact, my website receives more than a third of its visitors from social media. I’ve discovered that for getting engaged fans and followers it is crucial to provide high quality content and be consistent with it. What worked for me might not work for you and vice versa but you should try and experiment with your audience and various social networks. Services and tools below give you enormous power over your social media accounts with smart analytics, intelligent content suggestions and automatic scheduling allowing you to be always on the radar when your audience needs it the most. Jetpack for WordPress: Jetpack is a multi-purpose plugin with dozens of useful features for your WordPress powered blog. Among many cool tools Jetpack makes it easy to share your site’s posts on several social media networks automatically when you publish a new post. Tweetdeck: Tweetdeck is an essential tool for every marketer. I’ve been using it for numerous years now and all I can say that it helped me to manage many projects at the same time. Track brand mentions and hashtags, manage multiple Twitter accounts, schedule tweets, and more. CoSchedule: CoSchedule is an easy-to-use tool that helps you get your team on the same page, customise your social media sharing schedule, boost your traffic from your old posts, organise all of your content on a single, consolidated editorial calendar and more. Mention: Mention is a real time social media monitoring software that allows you to listen to what’s being said on the web and social web. It has powerful tools to react quickly, collaborate, and analyse your online presence. Great way of keeping up with rapid social media pace. Buffer: Buffer is generally a scheduling and posting tool on social media accounts. You can write a bunch of posts at one time, and choose which social profiles to send them to, and then Buffer will spread them out throughout the day or week so that you don’t have to be at your computer all the time. Hootsuite: Hootsuite is a powerful and useful social media management tool for any organisation. You can easily manage social networks, schedule messages, engage your audiences, and measure ROI right from the dashboard. Beatrix: Tell Beatrix some info about your company or clients and she helps you find, create, approve and schedule posts for your social media accounts. You can quickly pick and schedule images, links, get suggested content for your social channels based on keywords that you set and track your progress effortlessly. IFTTT: IFTTT is an incredible time-saver and automation tool. It empowers you with creative control over the products and apps you love by setting up “if this then that” rules. There are dozens of pre-built scenarios (recipes) that will save you lots of time if used properly. Zapier: This is another vital tool for automating repetitive tasks. Zapier connects the web apps (currently over 300 supported apps) you use to easily move your data and automate tedious tasks. WP Experiments plugin allows you to basically test anything you can imagine on your blog to achieve better performance and conversion. A/B testing is a simple way to test changes to your page against the current design and determine which ones produce desired results. It is a method to validate that any new change to an element on your webpage is improving your conversion rate before you make that change to your site code. Assumptions won’t take you far in online business. Every hypthesis you have should be tested and winner option should be chosen using data from these tests. Just changing a copy, color, or call to action wording can dramatically increase conversions. WP Experiments: WP Experiments is a powerful WordPress plugin for making unlimited tests with your content on your WordPress powered website. Easily change button texts, paragraphs, titles, or anything else on your website and see how your audience reacts. Visual Website Optimizer: This tool claims to be the world’s easiest A/B testing tool and is recommended by marketing experts. Visual Website Optimizer lets you run A/B, multivariate and split URL tests using a simple visual editor and provides insightful analytics. Title Experiments Free: This free WordPress plugins allows you run split (A/B) tests of multiple titles for a post and discover which gets more page views. Great way to increase click through rates. Nelio AB Testing: Another free WordPress plugin for running A/B experiments on your website. It helps you define, manage, and keep track of A/B-testing experiments, combined with powerful and beautiful heatmaps. Hotjar is a new and very promising analytics software that combines various tools like heatmaps, surveys, visitor recordings and more. Analytics are incredibly important for your website or blog. Knowing who you are serving, their needs, desires and behaviour you can easily prepare content and products that fit your target audience and convert more. Whether you need to know how long people spend on certain pages, where do they look at using heatmaps, where they click, how long it takes them to figure out the way to the conversion, where do they tend to leave or abandon the website? Analytics can also be combined with other tools from this article including lead capturing software, testing effectiveness of a/b tests, hypothesising and proving point with experiments and enhancements. Hotjar: Hotjar is a new and very powerful smart analytics tool with useful features like heatmaps, visitor recordings, conversion Funnels, form analytics, feedback polls and proactive chat in one platform. Google Analytics: Google Analytics is an essential tool for tracking almost every happening on your website. Powerful and insightful reports, measurement and conversion optimisation tools for free. Mixpanel: Mixpanel focuses on analysing actions and engagement instead of measuring pageviews. Super valuable tool for gaining more insights into your target audience and their behaviour with your product. Woopra: Woopra is a robust real-time customer analytics tool that allows you to track targeted users and make the best of your website. Connect with dozens of other apps you use to truly start seeing the patterns and behaviour of your customers. KissMetrics: KissMetrics is specifically targeted for ecommerce sites and analyses customer data in real time and ties anonymous activity to known activity once a visitor becomes a customer. Crazy Egg: Crazy Egg gives you insights and data on where your visitors click, where they scroll and stop and shows you where they coming from to allow you make better data-driven decisions. LeadPages is a one-stop-shop for everything related to leads. Build your own conversion-oriented website, run A/B tests and capture leads. Capturing leads is incredibly important when testing out or validating your business idea. Just by making a landing page and optimizing it on the way you will save a lot of money of pre-building product that no one will buy at the end. Tools below allow you to create a landing page with no coding knowledge required and allows you to run tests, collect emails and more. LeadPages: LeadPages is a powerful online software for building mobile responsive landing, launch and sales pages that are purely conversion oriented. Unbounce: Unbounce is an online tool with a focus on marketers that allows you build, publish and test landing pages without programming knowledge. It integrates with dozens of different online tools like Google Analytics, Mailchimp or AWeber just to name a few. Strikingly: Strikingly allows you to create a quick and beautiful, mobile friendly one-pager for your personal brand or business. It is an incredibly handy tool that saves time and money. I’ve seen many people using it successfully at Startup Weekend Bali in Ubud, Bali, Indonesia. OptimizePress: OptimizePress is a tool for building high converting landing pages, training or courses with progress bars, secure membership portals among many other features. It also has dozens of useful integrations with other marketing software. SumAll is extremely valuable tool for brands online as it allows you to track, measure and report various social media events. Social media is extremely unpredictable medium with rapid pace and lots of things happening at a time. However, there are tools that identify patterns, measure activity and engagement to give you more insights into the global social media machine. SumAll: SumAll is extremely powerful marketing analytics software that combines social media, web traffic, sales metrics and other data to allow you to track business and social media metrics. Curalate: Curalate has a powerful image analysing engine that allows you to get insights into the industry and start engaging with your users with images. Run contests, schedule, publish & analyse social images. CrowdBooster: This tool allows you to track and analyse your online presence. Easily identify your most loyal fans and followers, get automated reports and schedule unlimited updates on your social media accounts. Simply Measured: Simply Measured is an online software providing you social media monitoring and analytics solution. You can track, measure and optimise your content performance on Twitter, Facebook, Instagram, YouTube and many more. Alexa is a globally recognised website ranking that provides website data like demographics, page views, bounce rate and more. Analysing your competition as well as discovering how you are seen by your competitors is vital in making data driven decisions and getting better results faster. It’s always good to know what audiences like certain websites and how they approach them. Tools below will give you a quick overview of many different factors that can help you with adjusting your website strategy. Alexa: Alexa provides traffic data and more information about your competitors including globally recognised rank, demographics and more handy data that can give you a huge advantage against your competition. Compete: Compete is a tool for discovering what your competitors are after, what keywords they use, how do they perform and what people they attract. It is a tool for serious online competition monitoring and benchmarking your business performance. SEMrush: SEMrush is a tool that allows you to track keywords of a certain website whether yours or competition and see how do they perform in organic and paid search results. Klout combines your social media accounts and tracks your engagement and determines how influential you are in your field. People buy from people they know and trust. For a fresh new business or a brand it’s extremely hard to get new fans and followers as people need to trust you to start spending their time and money. One of the best ways to speed up the process and get in front of more eyeballs and most important appear trustworthy is to collaborate with influencers. Tools below will let you identify your key influencers and provide ways to connect with them and build long-lasting relationships. Klout: Klout is a universal tool for social media influence. It gives you a rating on a 100 point scale including different social media broadcasting networks like Twitter, Facebook, Instagram, Pinterest and more. Traackr: Traackr helps you identify people who might have the biggest impact on your business and provides tools to connect and build meaningful relationships with them. BuzzSumo: BuzzSumo is an incredibly handy tool when you need to research the best performing content by keywords or a specific website. Identify top performing content from influencers and analyse what it takes to create popular content. Exposely: Exposely is a social advertising software that connects brands with engaged online influencers. Whether you’re a brand or influencer there are mutual benefits of working together and this platform finds you the best fits. Bloom is a powerful pop-up software designed for WordPress with innovative features like on scrolling triggers and after purchase pop-ups. Bloom eMail Opt-In Plugin: Bloom is the ultimate email opt-in plugin for WordPress. With Bloom, you can easily add opt-in forms to your website and harness complete control over the design and location of each. SumoMe: SumoMe is a one-stop shop for getting effective tools for increasing your traffic, analysing content and optimising it for more leads. I personally use it for pop-ups and opt-in forms on my website giving me 10 new subscribers a day. Optimizely: Optimizely is a great tool for optimising customer experiences. Their technology provides you the ability to conduct A/B testing, multipage, and multivariate testing that may be used for making data-driven decisions. Placeit has an enormous collection of various mockups starting with laptop on a desk and finishing with wearable tech on a wrist. According to Neil Patel, Tweets with images get 150% more retweets. Just this simple plain fact should convince you how much of an importance graphics have in your marketing communication. There is an emerging category of marketing graphic creation tools that help you create engaging imagery for your social media campaigns and convert more. Piktochart: Piktochart is an easy infographic design app that requires very little effort to produce beautiful, high quality graphics. It has a large selection of ready made templates to make your creative process easier to supercharge your marketing online. Placeit: Placeit allows you to upload your screenshot or video and place it on many devices including laptop, desktop, tablet and mobile phone mock-ups to create a realistic presentation of your product or service. Pablo by Buffer: Pablo is a simple online tool by Buffer for designing engaging images for your social media posts in under 30 seconds. Simply pick an image, write your copy and share it on Twitter, Facebook, Buffer or download it. Easelly: Easelly is a simple web tool that empowers anyone to create and share powerful visuals like infographics and posters with no design software or experience needed. Pixlr Editor: Pixlr Editor is a simplified online alternative of popular Adobe Photoshop software. it has saved me couple of times when my computer crashed and I had to do some more complex designing. Canva: Canva is a simplified online design tool for everyone. You can easily create designs for web or print: blog graphics, presentations, Facebook covers, flyers, posters, invitations and much more. Infogr.am: Infogr.am is a powerful tool for creating interactive infographics. Simply start by choosing a template and start visualising data charts, maps, videos, images, icons and more. It even allows users to edit data, download infographics share and embed them. Marketing is not an easy game and takes a lot of time and experimentation. What has worked for your competitor might not work for you as well as techniques that were effective a year ago might be totally irrelevant in today’s market. As you can see from this list I’ve gathered, there are many tools and online software companies that help you achieve more with less. I haven’t used all of the tools but the ones I’ve used are worth your time and money.